The facility includes a missile assembly building, launch pad with gantry and mobile launch platform, fuel and oxidizer storage, rocket engine test stand, and an instrumentation stand. South Korea’s official Romanization of Sohae is Seohae, and Tongchang is Dongchang, however due to the frequent use of the terms Sohae and Tongchang in English-language news, NTI uses this spelling. Kim Gwi-geun, "北 동창리 미사일기지 완공..발사실험하나 [North, Completed Dongchnag-ri Missile site… Trying Missile Launch Test? ]," Yonhap, 17 February 2011, www.yonhapnews.co.kr; Joseph Bermudez, "Ready for Launch? North Korea's New Missile Facility," Jane's Defense Weekly, 16 September 2008. 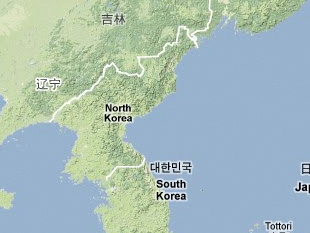 "Tongchang-dong Missile and Space Launch Facility: 10 January 2011 Imagery," GlobalSecurity.org, 10 January 2010. Nick Hansen, "Significant Developments at North Korea's Sohae Test Facility," 38 North, 18 April 2014, www.38north.org. Chico Harlan, "North Korea has completed missile facility, satellite imagery shows," Washington Post, 16 February 2011, www.washingtonpost.com; David Wright, "North Korea's New Launch Site," 38 North, 23 February 2011, http://38north.org; Charles Vick, "The Latest up-date in North Korean Ballistic Missile & Space Booster Developments," GlobalSecurity.org, 26 January 2009. Suhun Ahn, “북, 미사일 동체 동창리 운반, 발사준비 [North, Delivered Missile Body to Dongchang-ri, Ready to Launch],” Yonhap, 25 March 2012, www.yonhapnews.co.kr. Kim Gwi-geun, "北 동창리 미사일기지 완공..발사실험하나 [North, Completed Dongchnag-ri Missile site…Trying Missile Launch Test? ]," Yonhap, 17 February 2011, www.yonhapnews.co.kr. Kim Gwi-geun, "北 동창리 미사일기지 완공…발사실험하나 [North, Completed Dongchnag-ri Missile site…Trying Missile Launch Test? ]," Yonhap, 17 February 2011, www.yonhapnews.co.kr; Choe Sang-hun, "Global Powers Cast Wary Eye as Korean Tension Escalates," The New York Times, 29 March 2013, www.nytimes.com. Joseph Bermudez, "Ready for Launch? North Korea's New Missile Facility," Jane's Defense Weekly, 16 September 2008. David Wright, "North Korea's New Launch Site," 38 North, 23 February 2011, http://38north.org; David Wright, “North Korea’s Launch: Threading the Needle,” All Things Nuclear, 1 April 2012, http://allthingsnuclear.org. Choe Sang-hun and David E. Sanger, "Rocket Failure May Test Leader of North Korea," The New York Times, 14 April 2012, www.nytimes.org. Chico Harlan, "N. Korea Sends Rocket into Orbit," The Washington Post, 12 December 2012, www.washingtonpost.com. Nick Hansen, "News Alert: North Korea Nears Completion of Larger Rocket Launch Pad," 38 North, 6 February 2014, www.38north.org. Nick Hansen, "North Korea's Nuclear and Rocket Test Sites: Activity Continues but No Sign of Test Preparations," 38 North, 20 March 2014, www.38north.org.